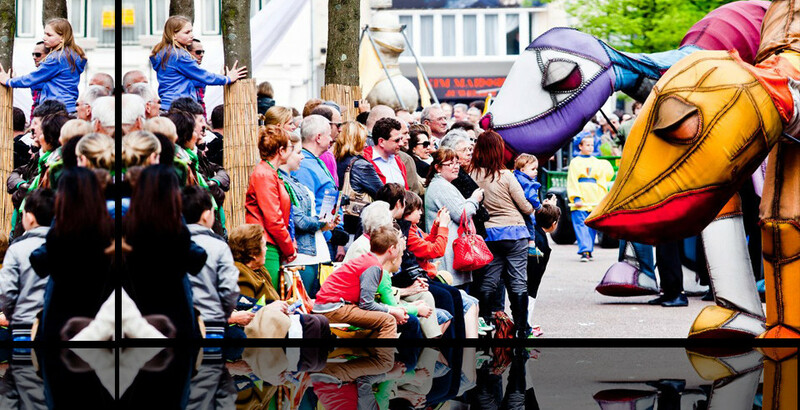 Whith a large stage animated by big creatures, we are able to create a stunning and innovative street theater for all audiences. Let them surprise you at every step, at every movement, transforming the space into an imaginary world full of new sensations. These amazing creatures just arrived from the land of fantasy, while walking among the spectators, offer a visual spectacle that gives full rein to imagination. Les Nomades, is a travelling show based on a large, big and fantastic format.